After its massive sale and positive feedback in the market during its previous releases, the Jordan Brand is set to release a new colourway and a much-improved edition of Derek Jeter’s 10th Signature shoe. The new Jordan Jeter Cut will be released in Black/White colourway and this new edition will come out without the usual spikes. 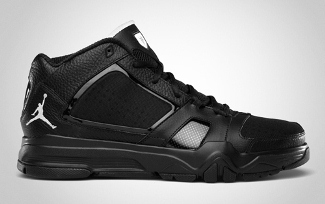 Aside from the spike-less features, the patent leather was also replaced with much-enhanced tumbled leather. Are you ready to be impressed with this new Jordan Jeter Cut? Start saving money now and watch out for its release this June.